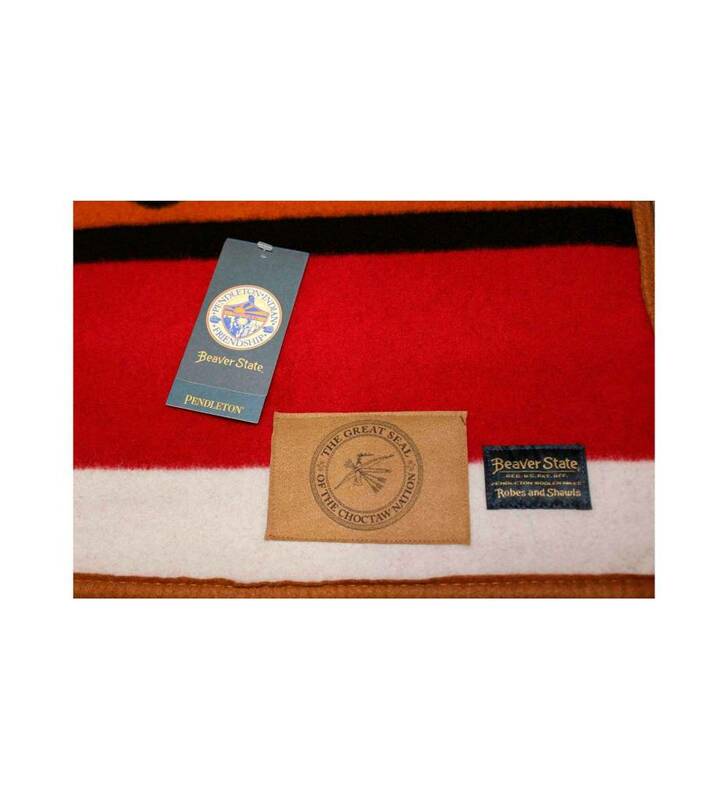 The "Little Brother of War" Pendleton Blanket designed specifically for the Choctaw Nation of Oklahoma. 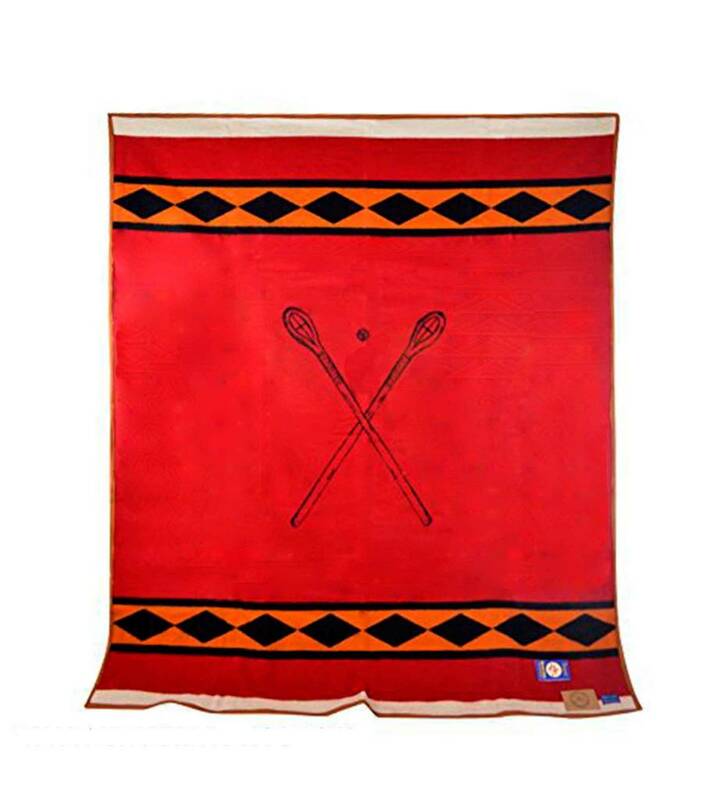 Blankets have been in existence in the Americas since before Europeans came. Native Americans stitched animal pelts together, looped strips of rabbit skin together, or wove yarns of indigenous animals such as llama, alpaca, and mountain sheep into wearing blankets. The Pendleton Woolen Mills in Portland, Oregon, have been in existence since 1863. Inspired by the intricate designs of Native American tribes, Pendleton produced the first Indian-inspired blankets and apparel with modern machinery. 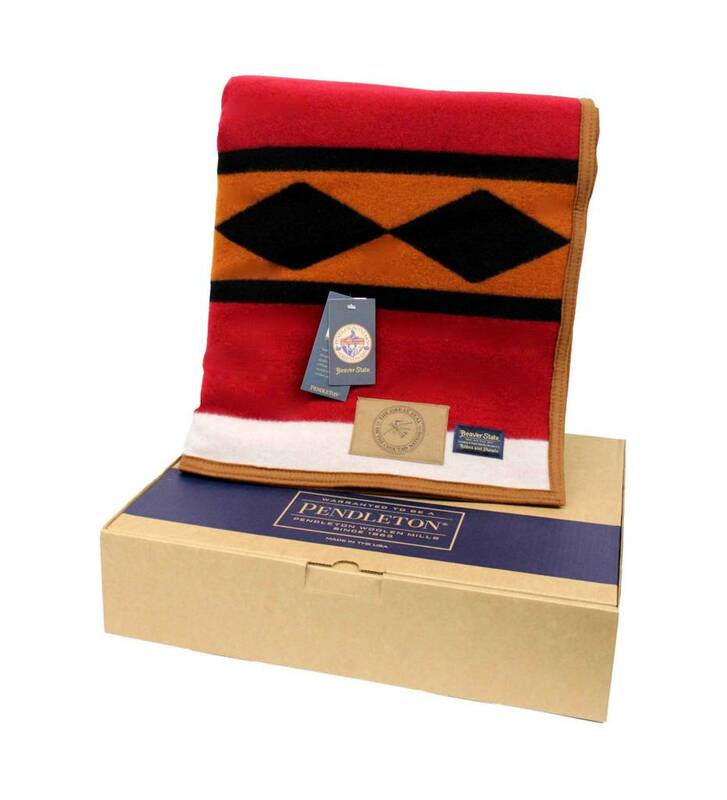 Our Pendleton blanket offers both traditional and contemporary Native American design. This design was done by Choctaw Artisan Nancy Southerland-Holmes and is called “Little Brother of War” or Stickball. This design was chosen to represent the continuation of the Choctaw Culture and how the Choctaw Nation has brought back the tradition of the game of Stickball. This design is meant to be a reminder of our ancestors who used the game to settle disagreements and hope that our future generations will continue the tradition.